The conglomerate is spinning off two small, low-margin risky businesses rather than the aerospace unit the activist had targeted. It’s a smarter way for new CEO Darius Adamczyk to improve returns without much pain, especially on top of the better margins he’s already producing. A logo of Honeywell is pictured on their booth during the European Business Aviation Convention & Exhibition (EBACE) in Geneva, Switzerland, May 22, 2017. 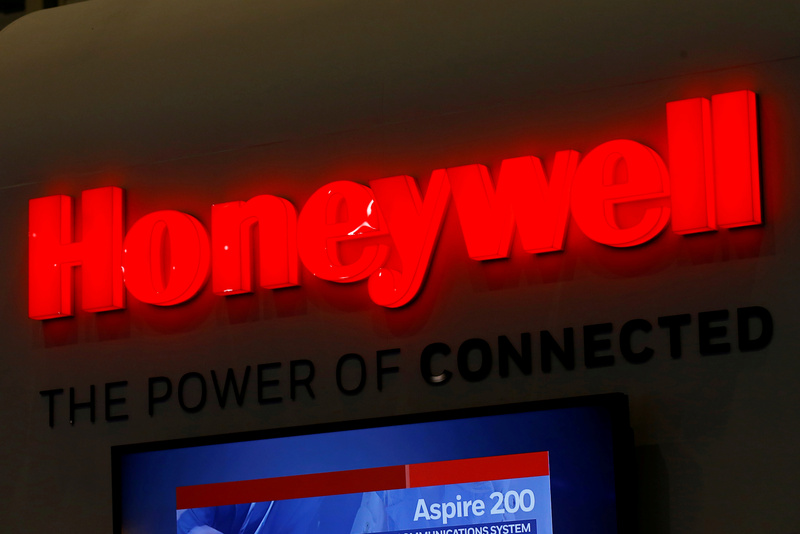 Honeywell said on Oct. 10 that it intends to spin off its home-heating and security business as well as its auto-transportation unit into two publicly traded companies by the end of 2018. The company expects the two divisions together will account for about $7.5 billion of sales this year. The consensus estimate of sell-side analysts for Honeywell’s total 2017 revenue is just shy of $39 billion, according to Thomson Reuters data. Third Point Capital, the activist fund led by Daniel Loeb, had earlier in the year called for the conglomerate to spin off its aerospace division. Honeywell also raised the low end of its full-year 2017 earnings guidance by 5 cents to $7.05 - $7.10.